4th Bedroom can be Bonus Room, Huge Unfinished 3rd Floor, Large Screened Porch w/ Deck, Alarm System, Irrigation, Private Wooded Lot. MLS#2248121. 1320. Screened porch for summer entertaining. Welcome home! MLS#2248435. 1565. 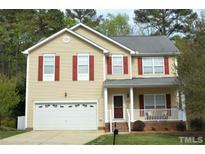 Crocketts Ridge - Close to a new Publix, Beaver Creek shopping & Hwy 540 ramps. 2-10 Home Warranty included. MLS#2247166. 3152. Kelly West - Deck and fenced in back yard, great for entertaining. MLS#2245833. 4498. Waterford Green is a great place to call home. Amazing location, convenient to everything. MLS#2248198. 4623. Full basement w/ home theater, wetbar w/ dishwasher, 5 bar fridges & full Bedroom/en-suite + hot tub - these fabulous features added in 2017! MLS#2248063. 297. Bella Casa - S/I porch w/audio & stone fire pit + yard. Tankless W/H & pre-wired security. MLS#2247765. 297. Symphony Run - Back to Woods & Close to Shopping! MLS#2247927. 1880. Close to all major routes and walk to ATT! MLS#2247915. 3807. 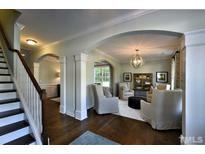 Kildaire Estates - Convenient to Cary, Apex, US 1, 64 & many grocery/dining/retail options! MLS#2244844. 1618. Brighton Forest - Extra storage on 3rd floor unfinished attic. MLS#2247555. 297. Relax in screened porch, sun deck or fenced grassy backyard! Welcome home! MLS#2248109. 297. Rare property with acreage in Apex includes barn to right of private drive and storage shed in rear yard. MLS#2247884. 4407. Just around the corner from major shopping and dining! MLS#2246309. 2989. Crocketts Ridge - Walking distance to Apex Nature Park! ! MLS#2247925. 3152. Wired space w/sink in crawl. Walk to pool/tennis. MLS#2248011. 1710. Second floor laundry for easy accessibility. Community pool and tennis! MLS#2248069. 2989. Homestead Park - Priced to sell and sold "as is" as home needs some updating. MLS#2246102. 4542. Sunset Hills - 4th bedroom could be nice sized bonus. Assigned to highly rated schools! MLS#2247200. 4767. Fair Oaks - After the party, retire to the master suite & relax in the jetted tub, or watch a movie in the theater. MLS#2246769. 4467. Tankless water heater & built in music port included! MLS#2247708. 2714. Private Screened porch. Huge unfin w/up attic.Pool/tennis/fitness MLS#2247278. 4333. Walden Creek - Convenient location near Beaver Creek Commons and easy access to 64! MLS#2245139. 1954.